If you listen to Youtube, Spotify or other on-line streaming service you might notice that your music is flat or boring. Thats because they stream that music at limited audio rates to reduce bandwidth – e.g. Youtube is just 120Kbps and I believe that Spotify uses a variable bit rate to save bandwidth but sacrifices the audio quality. Version 2 is much improved. The audio quality is much improved. An recent update added new audio processors that sounded good to me. For example, I might use Ambient on external speakers but will switch to Fidelity when using a headsets. It also makes nice job of boosting the Netflix audio. I have a low-cost pair of desk speakers connected to my MacBook that cost less than GBP£50/USD$80 and they make room shake with Boom2. 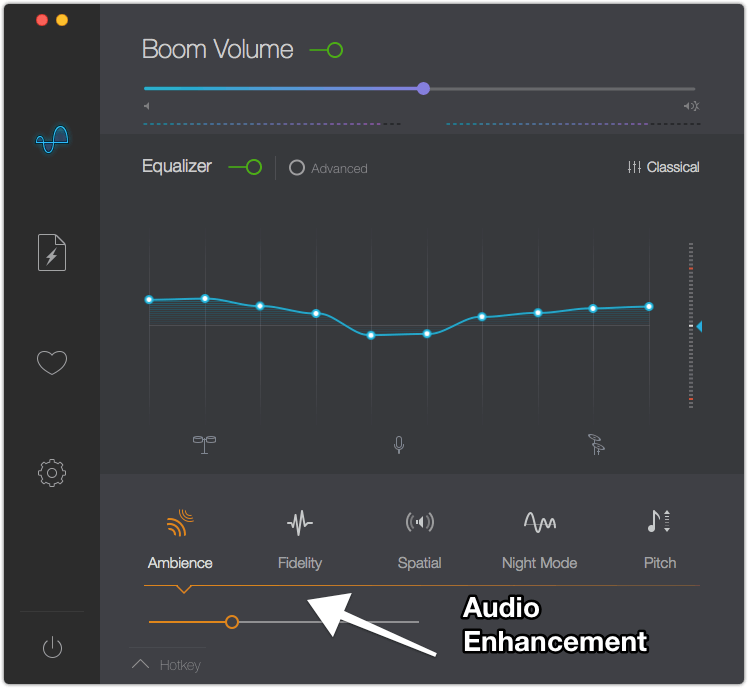 Boom2 has as IOS App that acts as a remote – if you are using your Mac as a TV or “Stereo System” then you will love this app. Note: Back in 2008 I reviewed and recommended using SRS iWOW but sadly the company has stopped making this software. It still works and has better audio results than Boom2 but was for iTunes only.